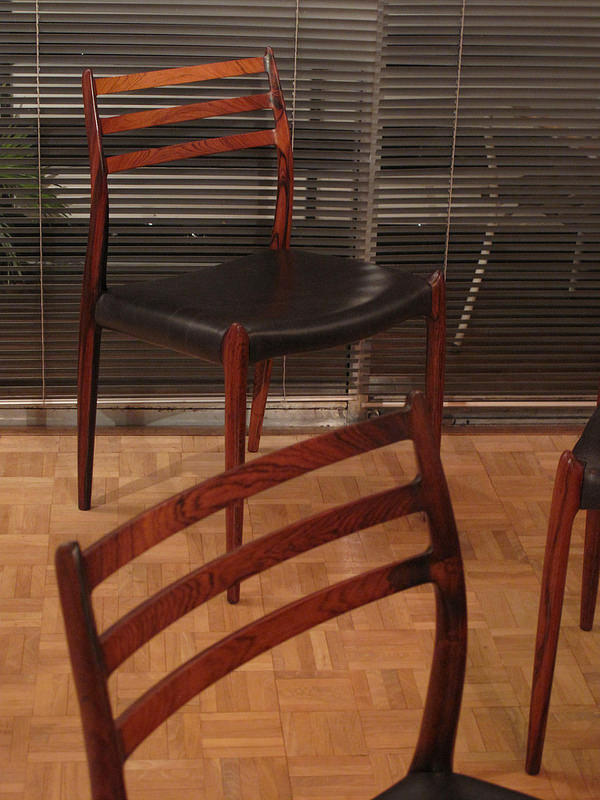 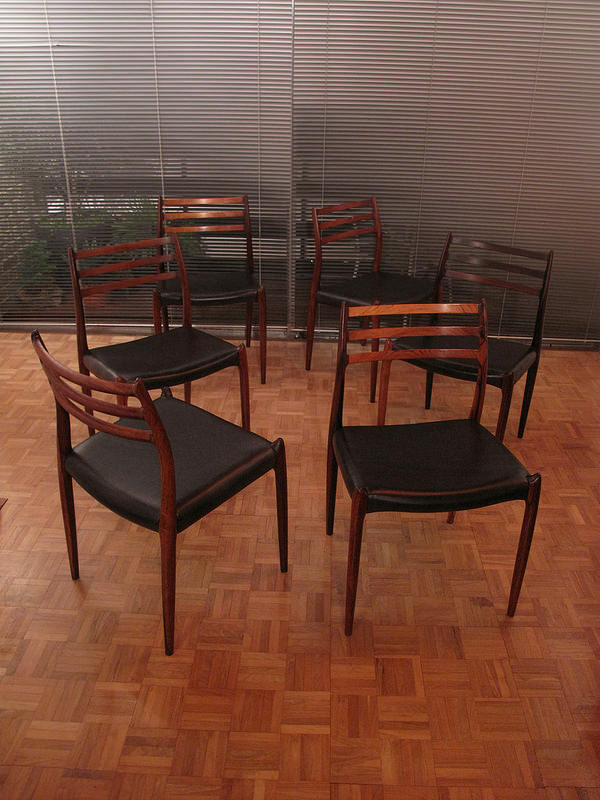 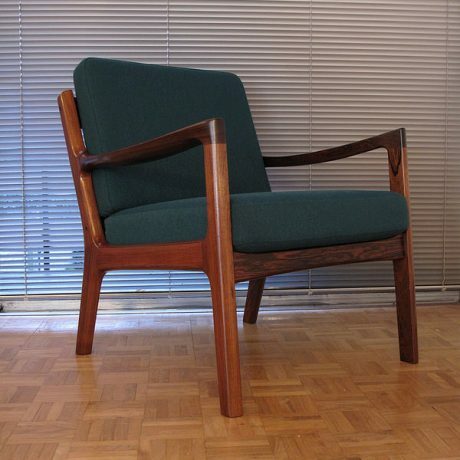 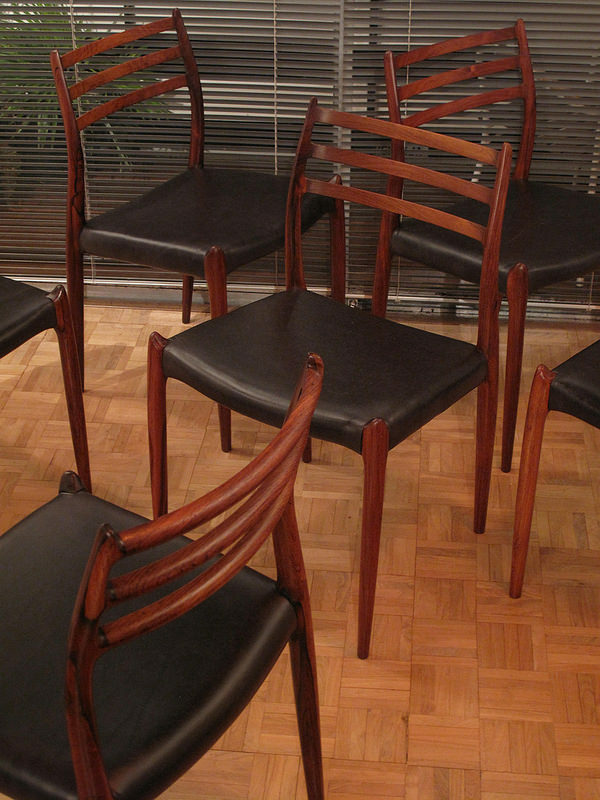 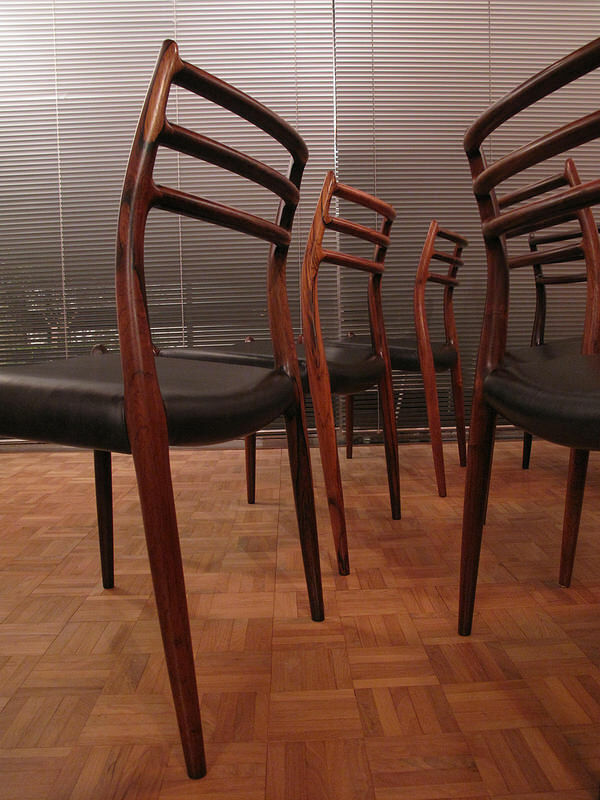 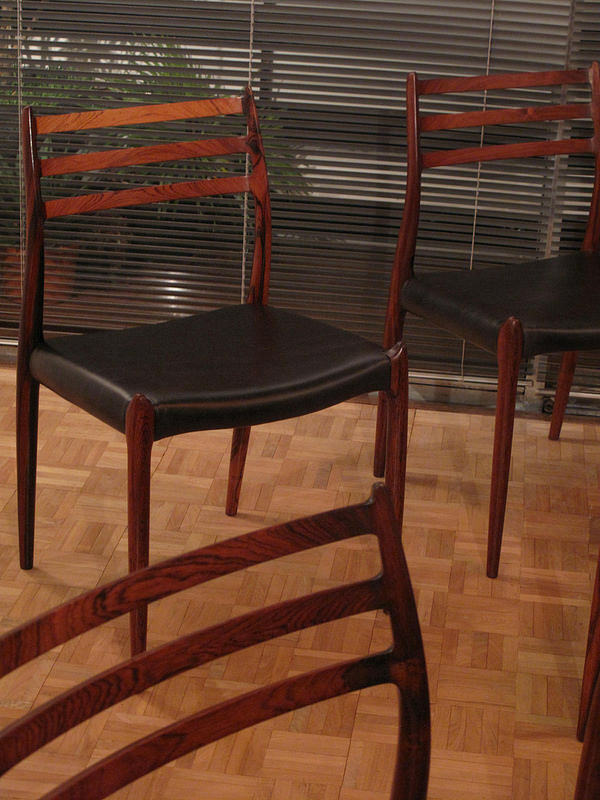 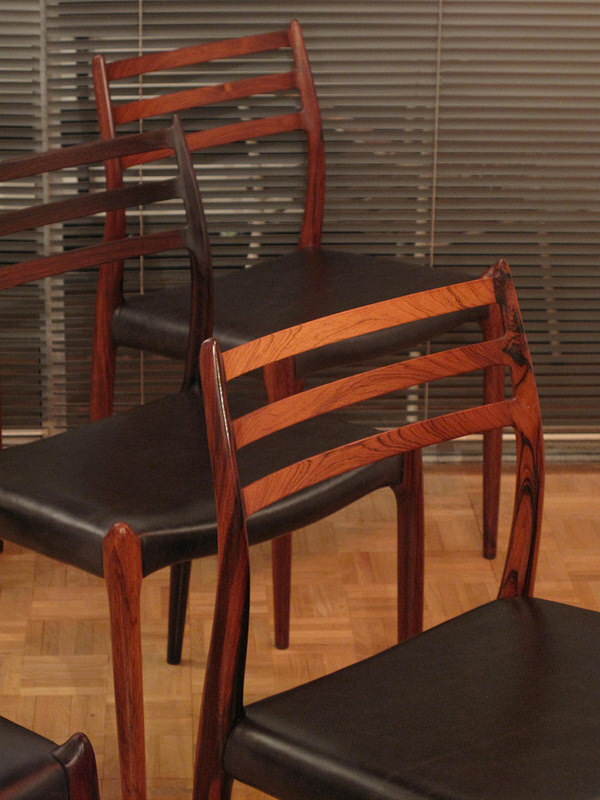 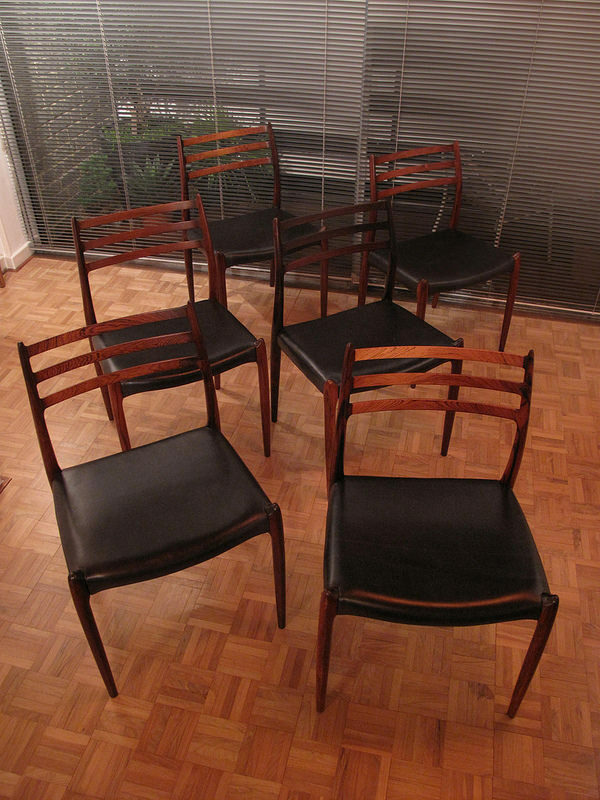 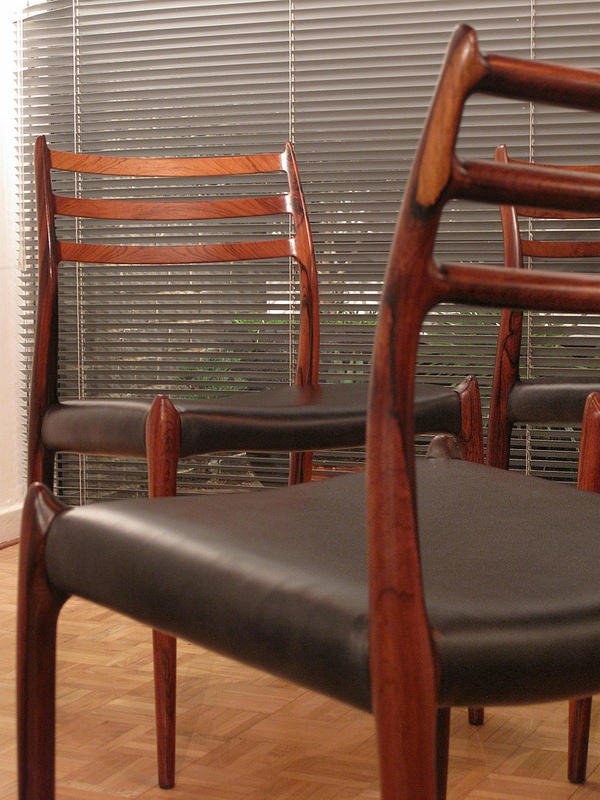 An outstanding set of six Model 78 chairs designed in 1962 by Niels Otto Moller. 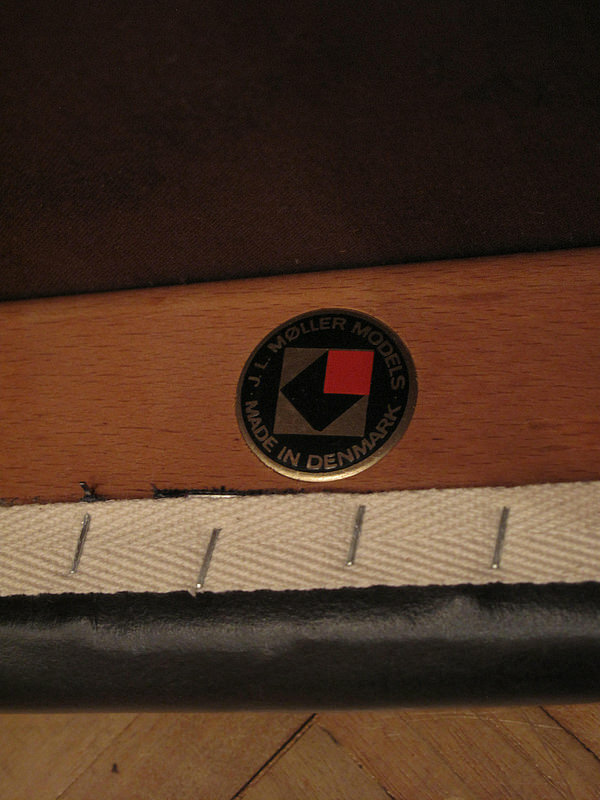 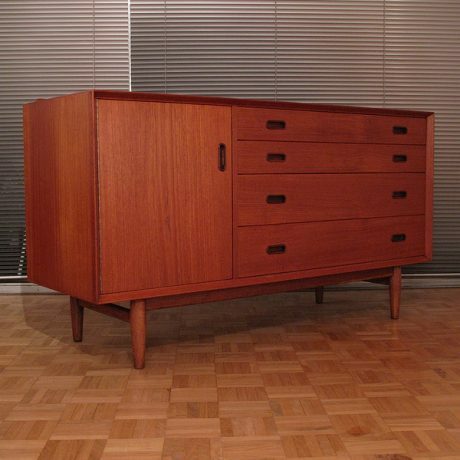 Produced by J L Moller in Denmark this design is regarded as Mollers most accomplished work and has since gained the reputation as a Danish design classic. 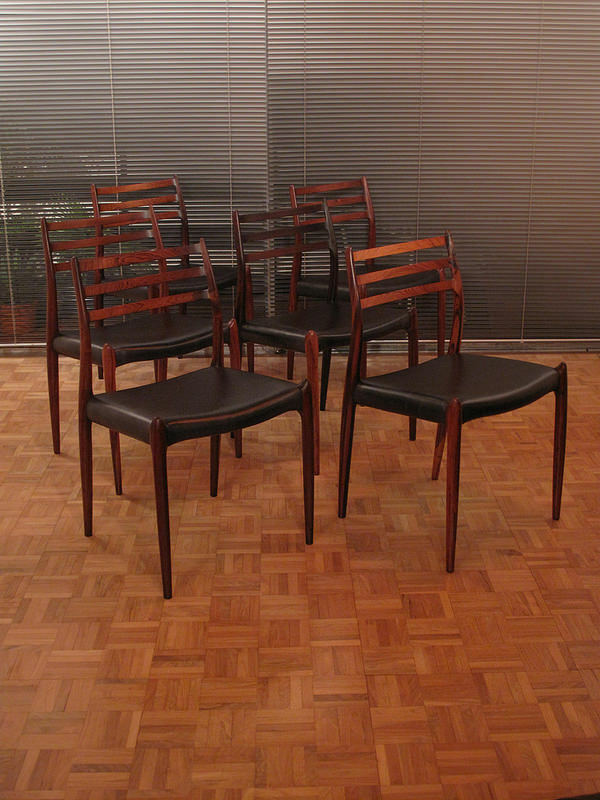 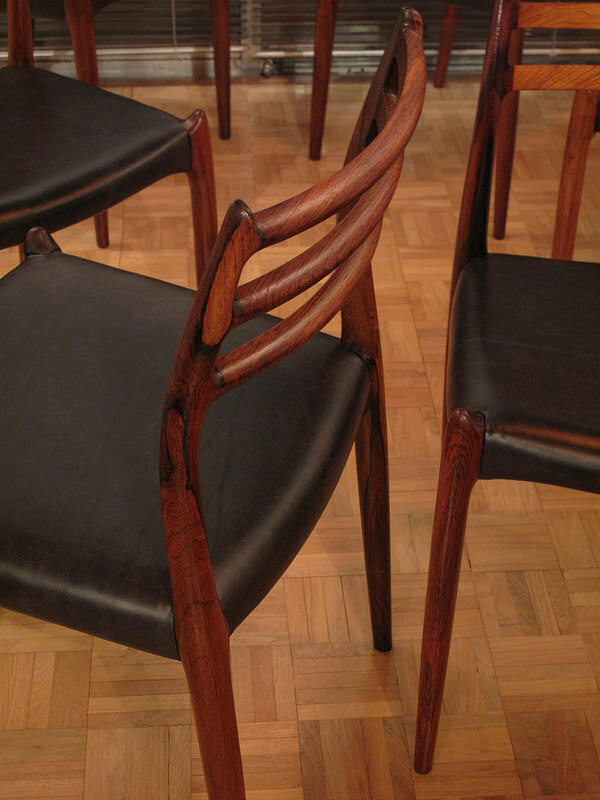 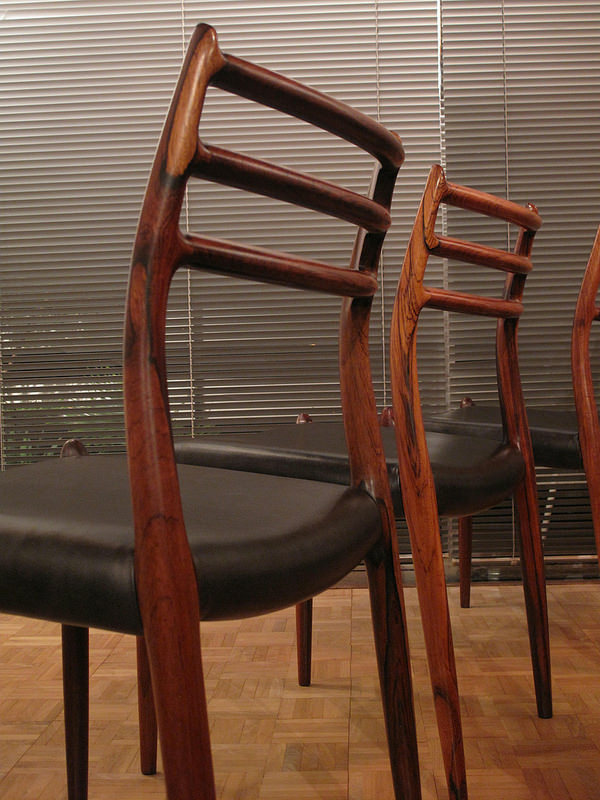 Crafted from striking richly grained Brazilian rosewood these highly elegant chairs represent the very best in Danish Modern design. 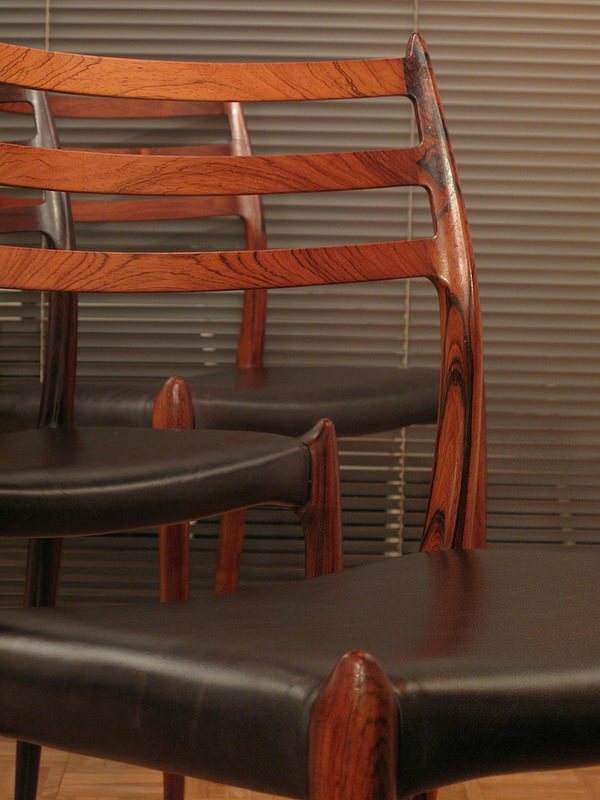 The rosewood frames are a showcase of Danish design values, demonstrating outstanding precision, attention to detail and remarkable finish at the very top of its game. 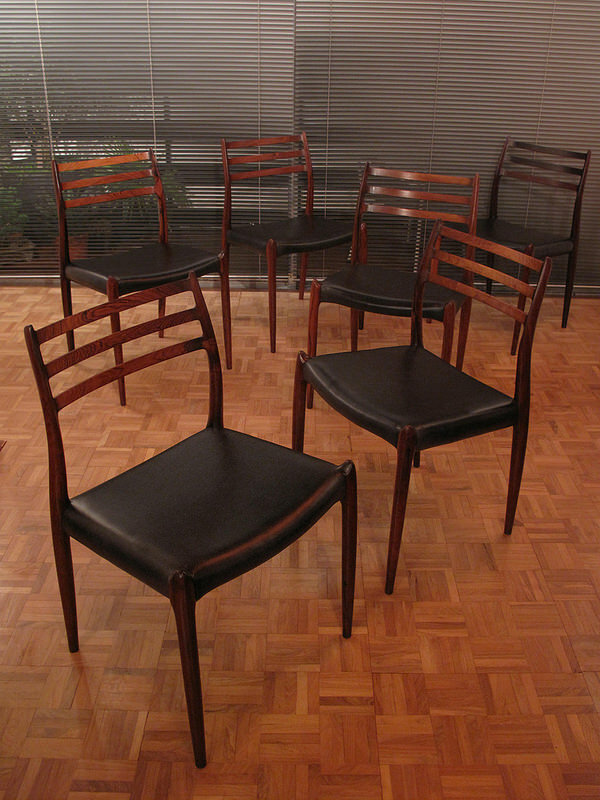 This particular set are early production with a slightly thinner more elegant shape executed in the much sort after Brazilian rosewood exhibiting lovely grain patterns. 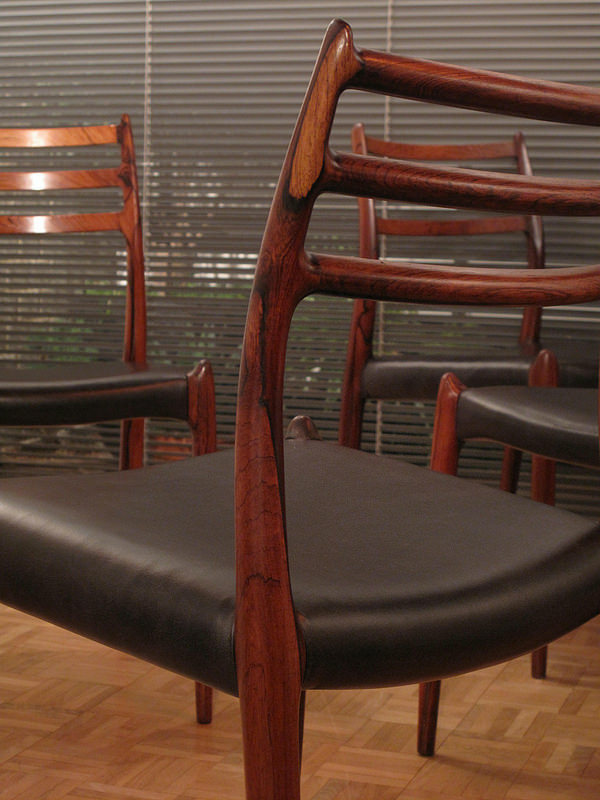 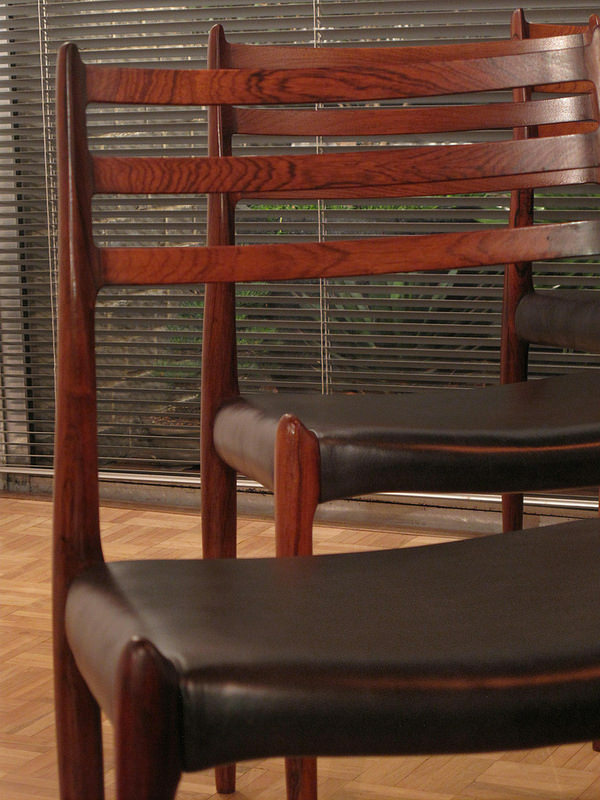 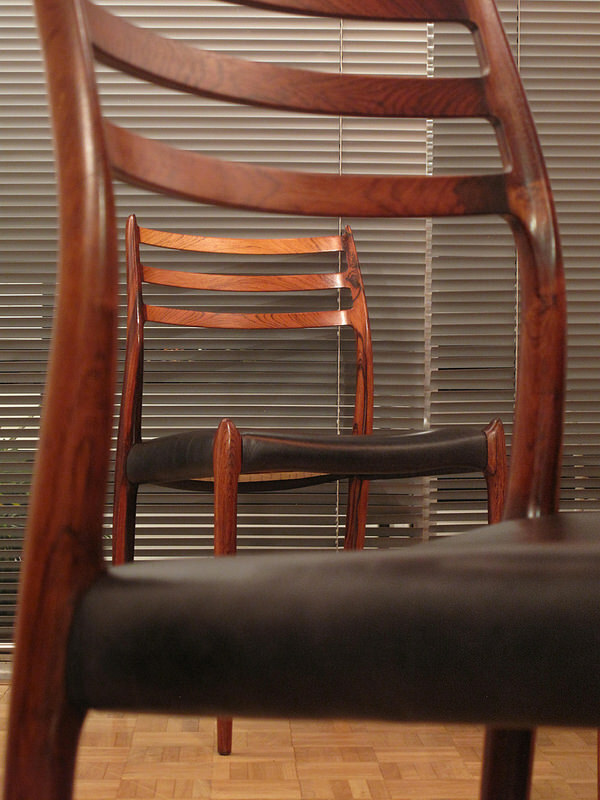 Each chair has just been reupholstered with premium quality smooth grained Italian leather.